Onsite Early Childhood Training is your leading provider of EYLF training in Sydney, NSW. 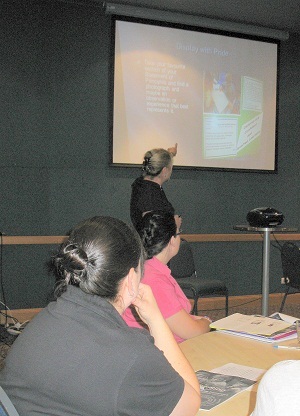 Would you like to have training designed specifically to suit your needs at an affordable rate? Would you like to host a training session of your interest at your service and invite others to share the cost? -Â Â Understanding why we do what we do- brings passion and rich intentional teaching into your philosophy and program. Training consultants can deliver customised training weeknights, days, weekends and school holidays. One consultant delivers training on EYLF and documentation to the educators while the other consults leaders one on one in leadership, administration and management (NQS 7) at the same time. Getting customised support with the EYLF and NQS will help you and your staff to stay focused to implement pedagogical practices within the EYLF, which are powerful and meaningful as a team. 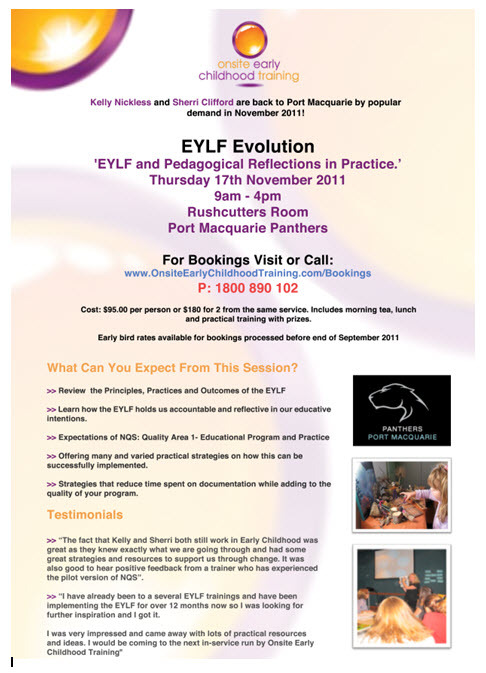 EYLF training & EYLF programming courses are available across Sydney to support you in all your endeavors this year. Do all your educators including regular casual educators know and honour your servicesâ€™ Statement of Philosophy? Do they understand why we need a Statement of Philosophy? Do your educators talk the talk but not walk the walk when it comes to implementing the Statement of Principles in their everyday practices? Do all educators feel they have a voice in the statement of principles? Are all your educators on the same page? What are some meaningful and fun ideas to get your families authentically involved in evaluating your Statement of Philosophy? Is your statement of principles reflective of the EYLF? There is more to EYLF training than showing you different ways of implementing the learning outcomes or providing you with set templates. There is an art to bringing a team together who are socially and culturally diverse, multi professional, varying in experience and qualifications and lead them through change successfully and respectfully to all be on the same page. Onsite Early Childhood consultants are experts in mentoring services through change management and EYLF training in Sydney. We pride ourselves on being extremely practical and thought provoking with lots of examples and ideas (the opposite of being set on any one specific template or formula to follow).